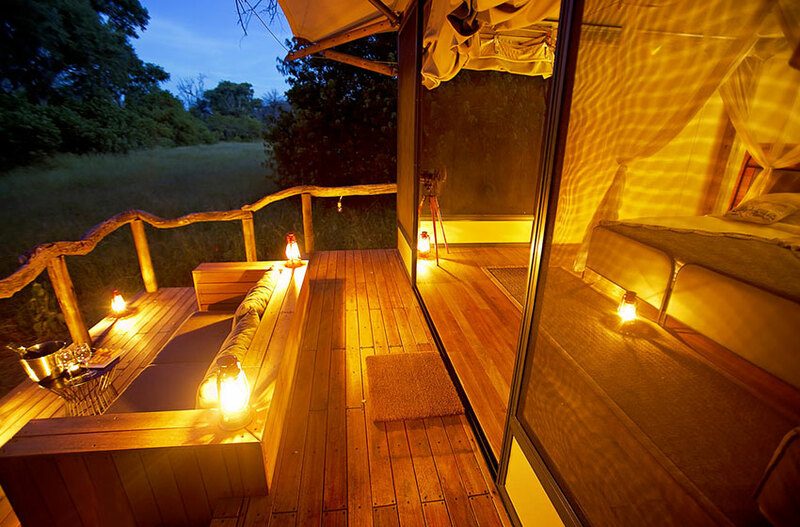 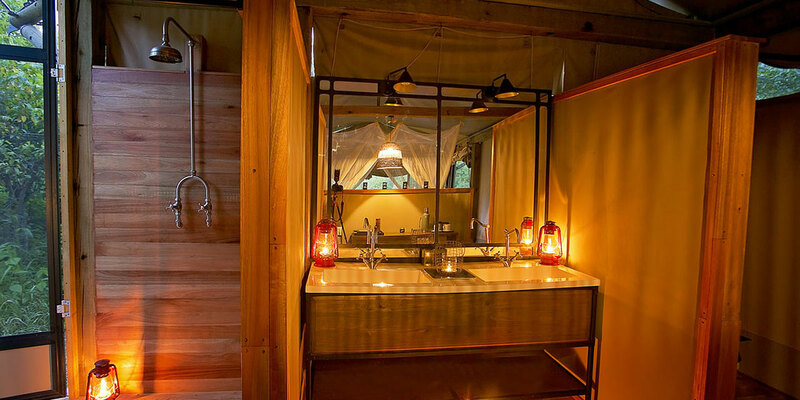 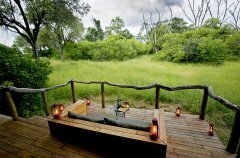 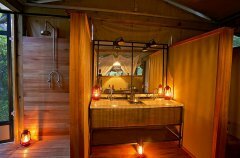 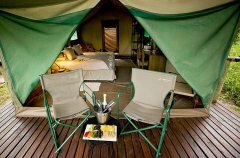 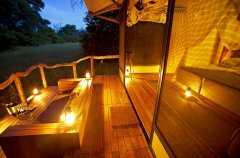 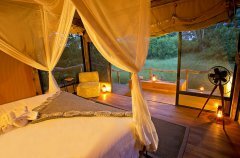 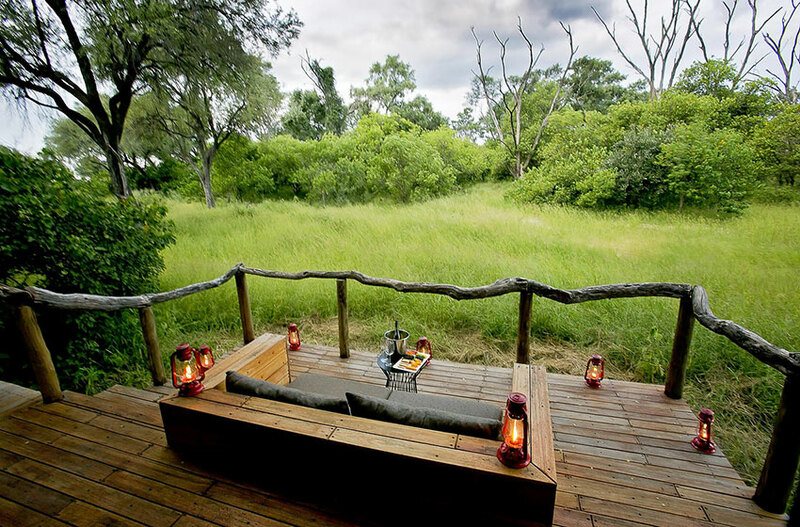 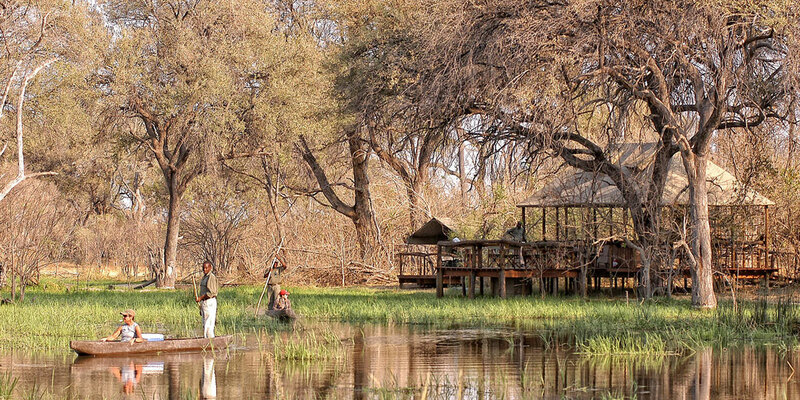 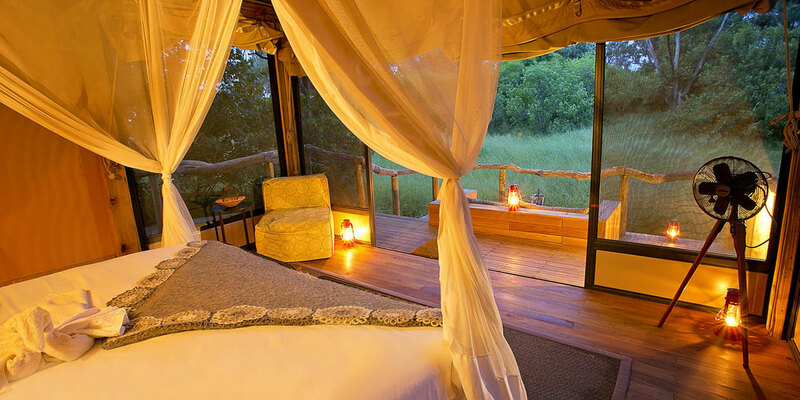 Khwai Leadwood is one of the newest developments in the African Bush Camps portfolio. 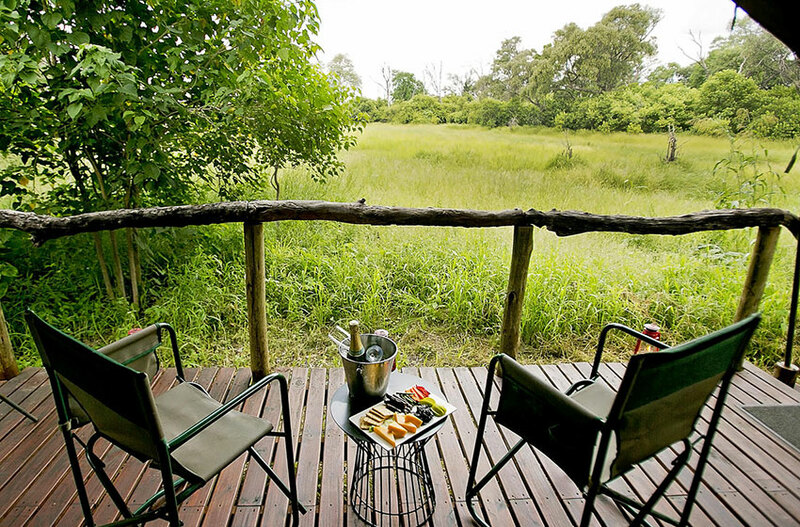 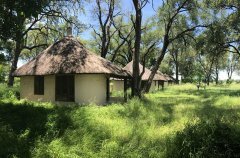 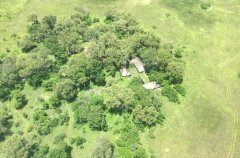 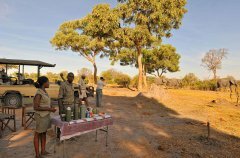 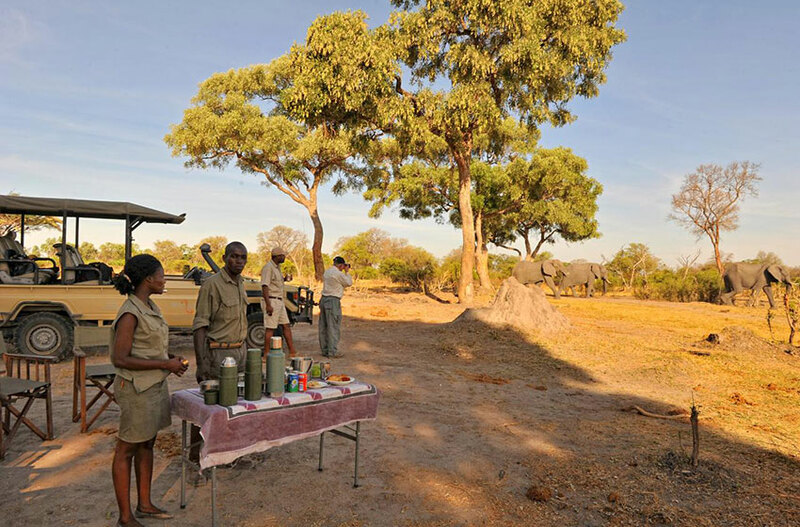 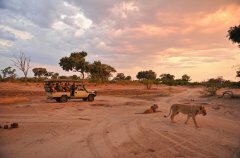 Located on a beautiful site within this community-run concession on the eastern border of the Moremi Game reserve. 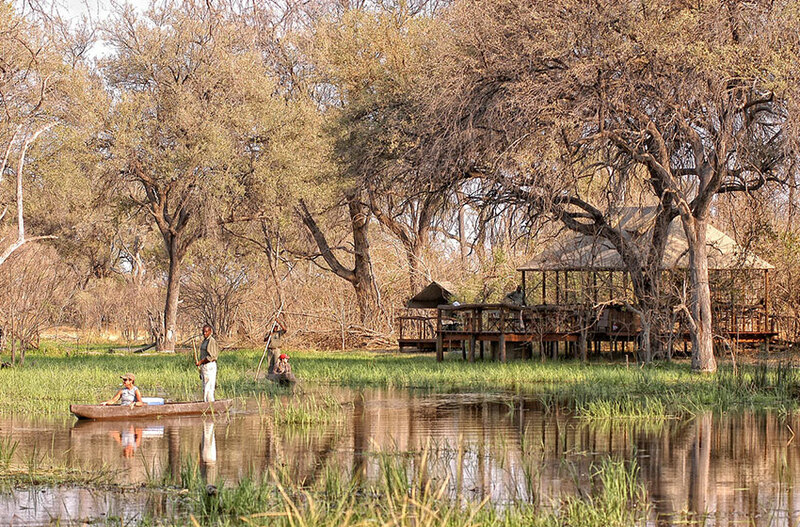 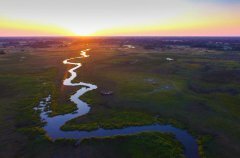 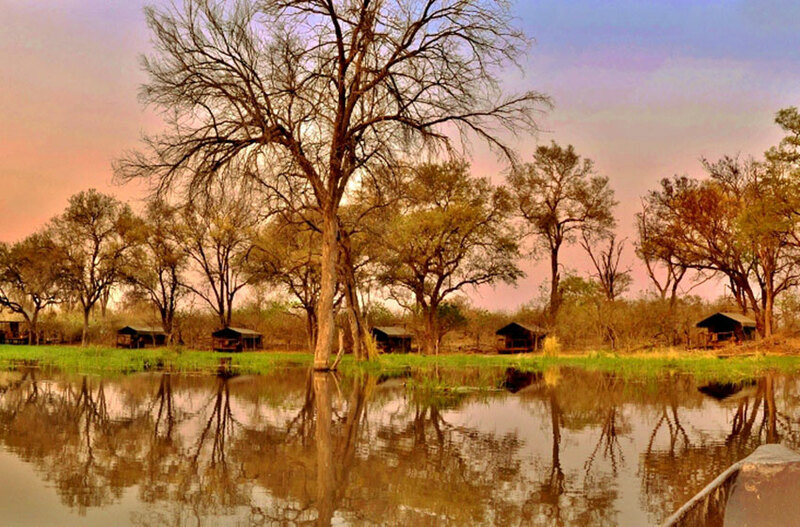 The banks of the lagoon flowing into the Khwai River act as a boundary between the reserve and the community area, offering visitors staying here several unique ways to experience Africa. 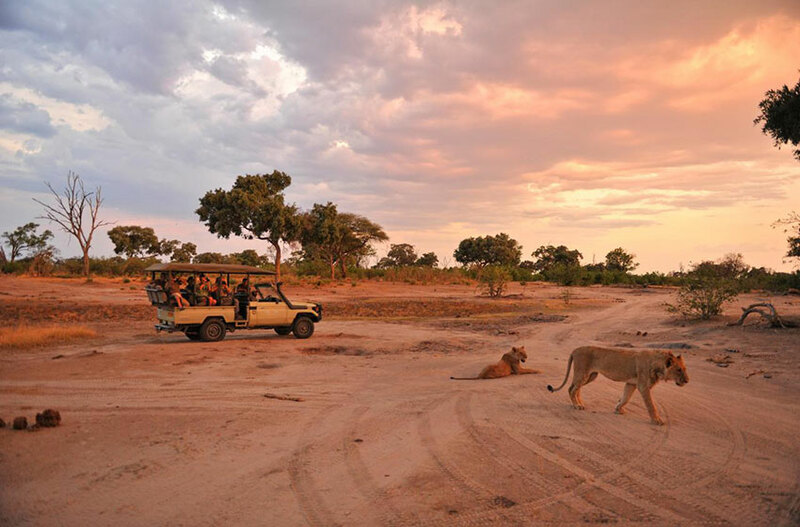 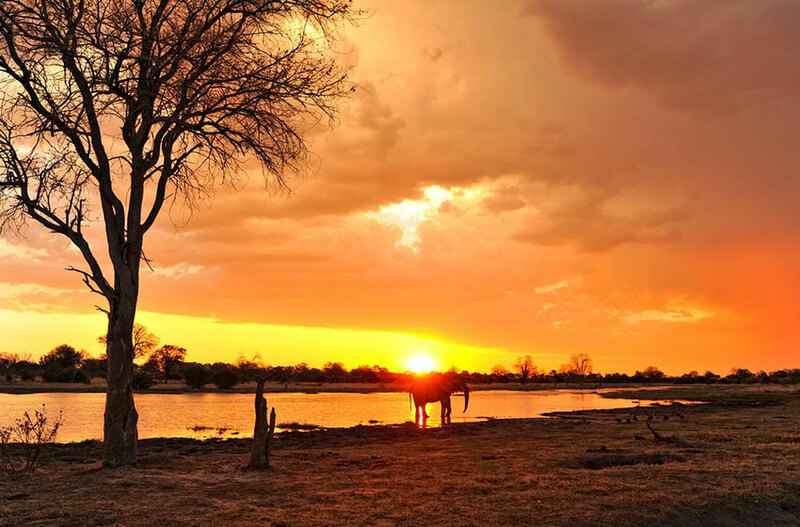 Besides the day-time drives which can feature Africa’s big attractions – lion, cheetah, leopard, wild dog, elephant, buffalo, hippo and giraffe – guests at Khwai Leadwood are able to explore nature after sunset with a night drive. The camp has a full solar power farm and a sewerage purity system to ensure that 80% of all the water used in camp is recyclable. 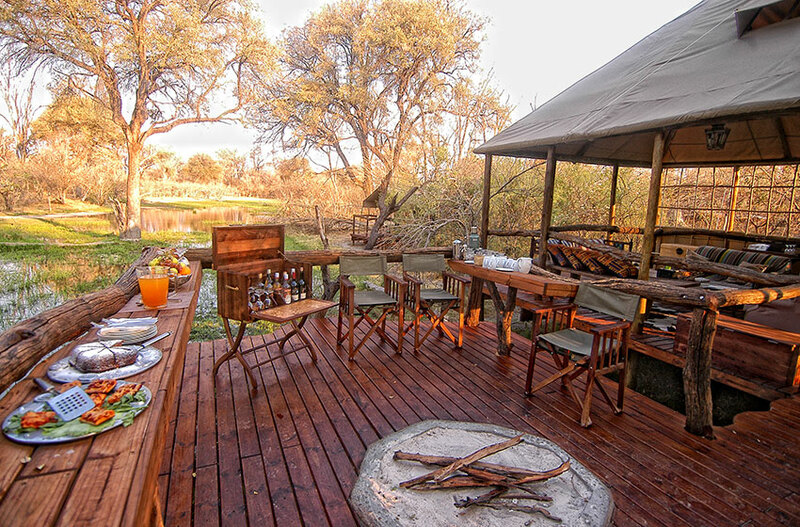 The camp will comprise of 2 family units (with interleading walkways/rooms) and 2 standard units built on raised decking, with 180 degree views of the lagoon in front of camp. 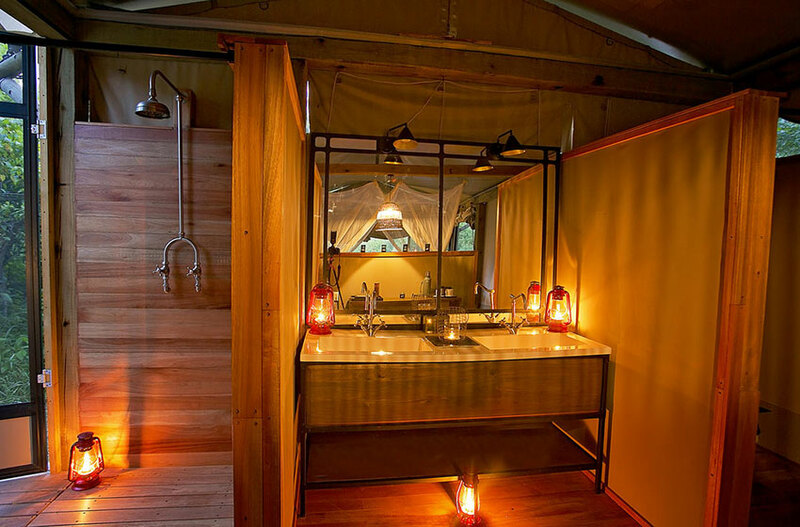 The rooms will have en-suite bathrooms with indoor and outdoor showers and flush toilets. 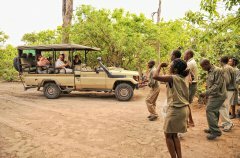 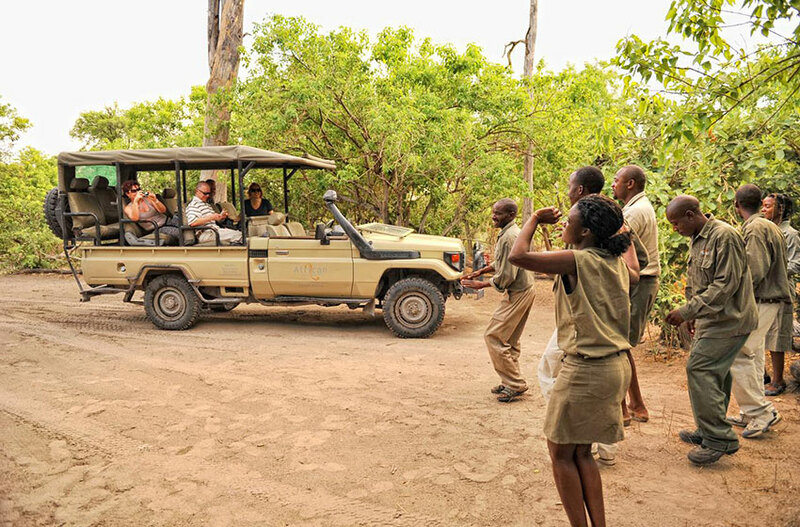 5 or more guests automatically qualify for a private No age restrictionvehicle. 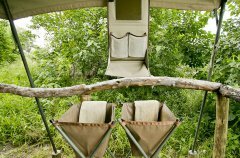 This includes families of 5 pax. 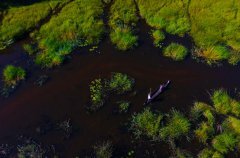 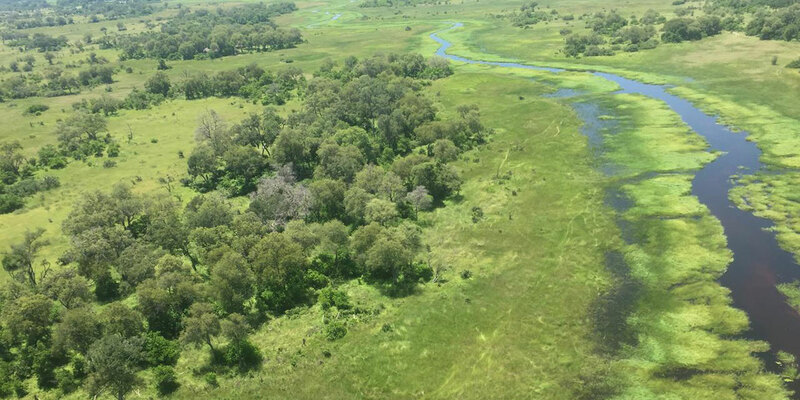 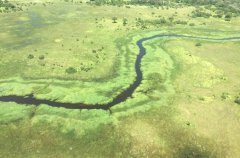 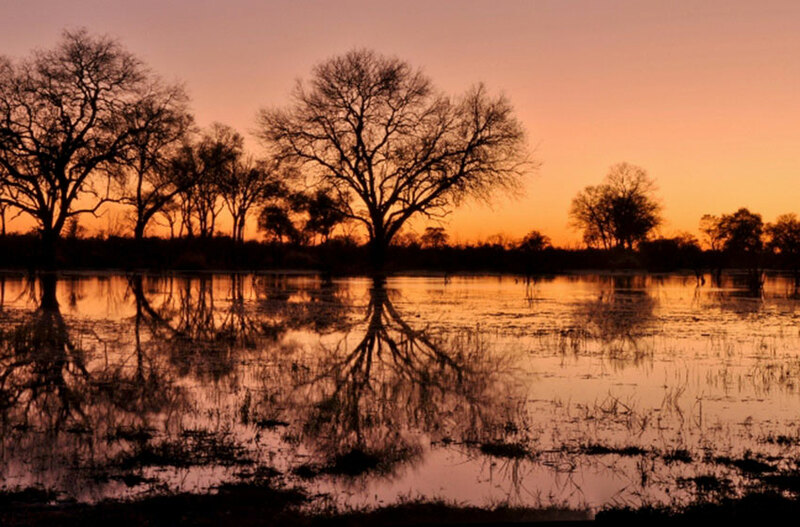 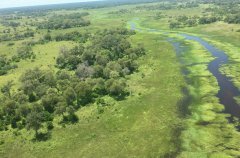 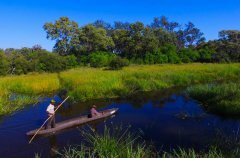 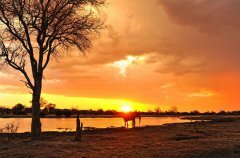 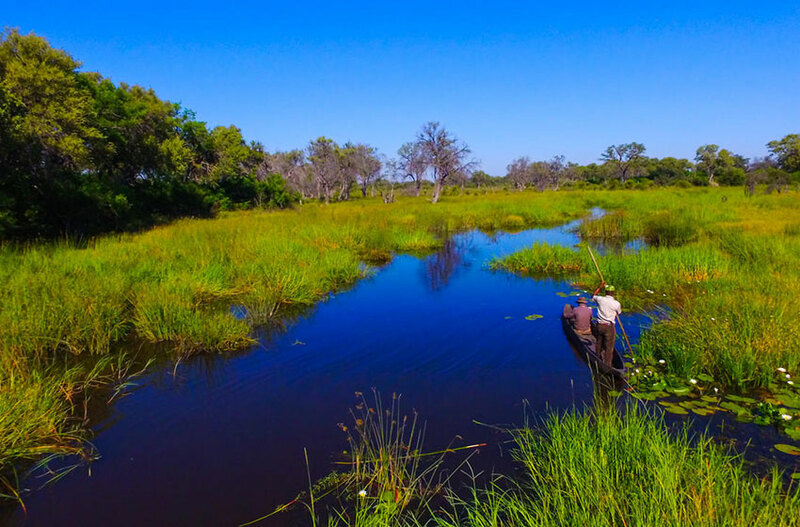 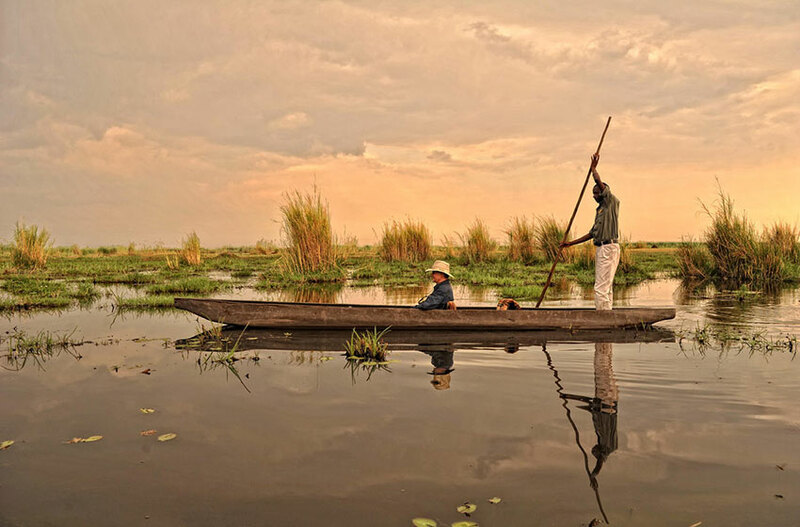 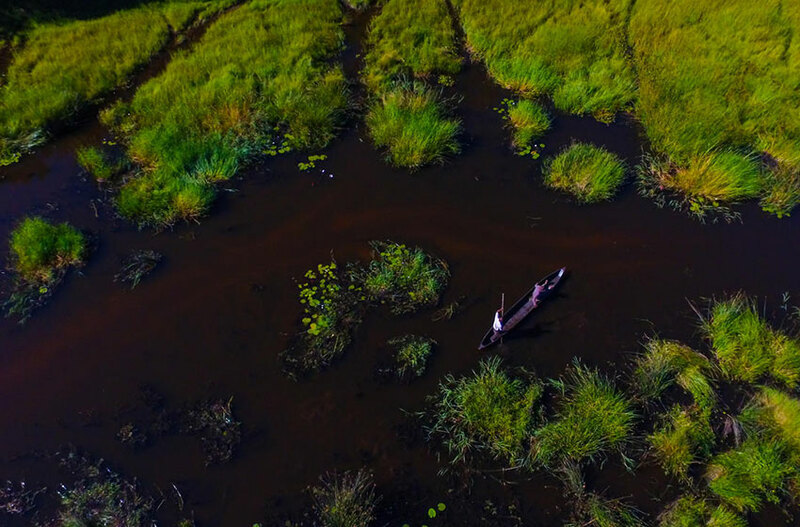 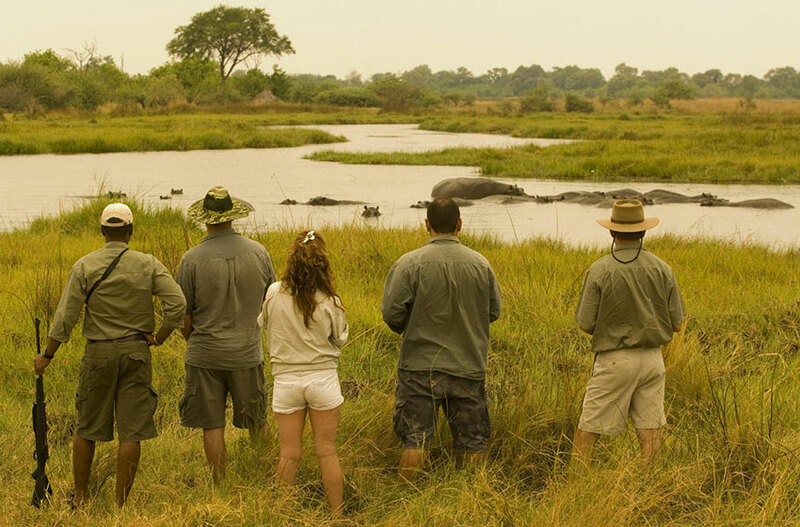 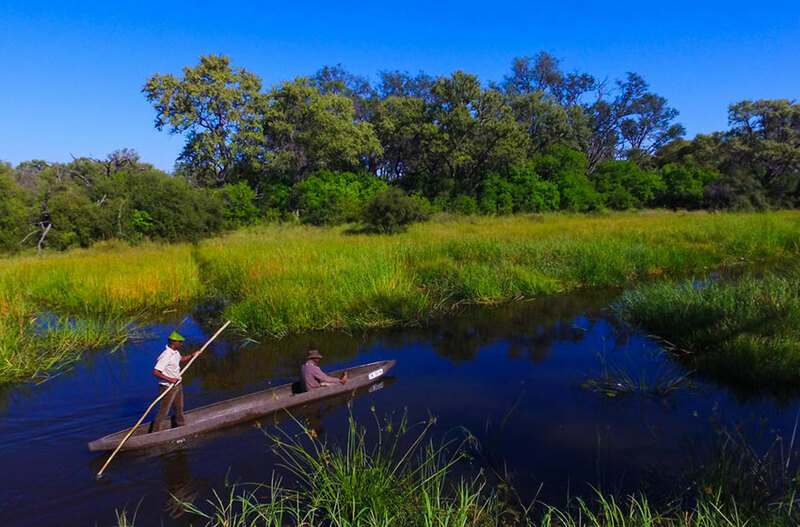 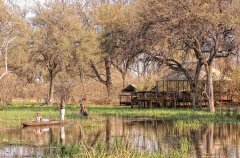 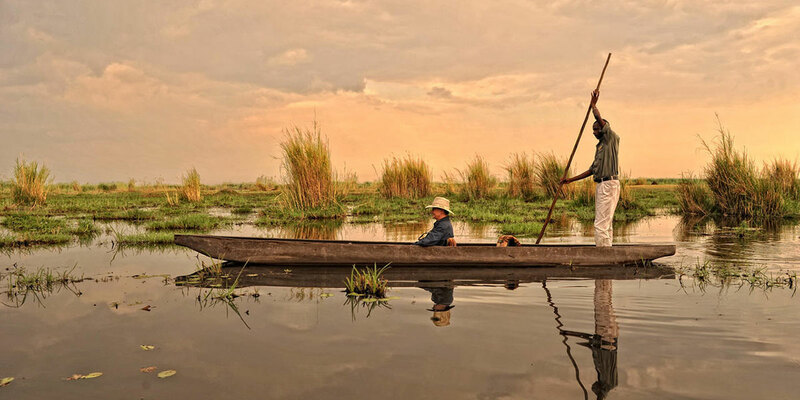 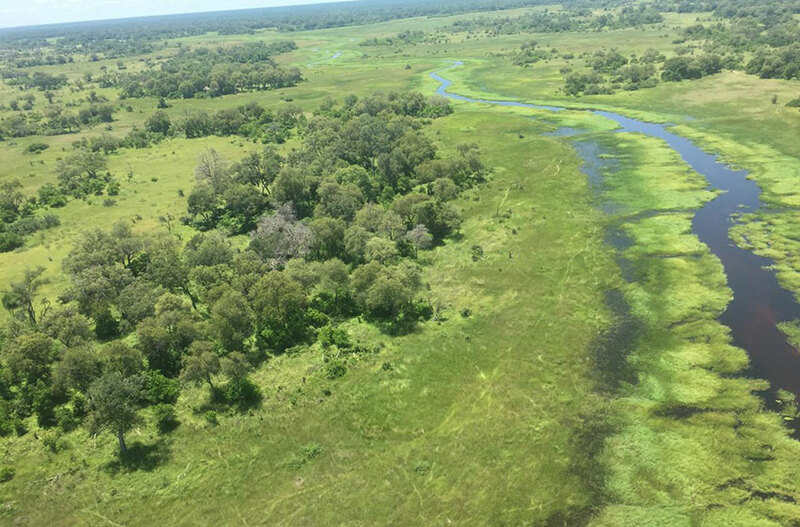 The Moremi area is known for its prolific wildlife and provides a patchwork of lagoons, shallow flooded pans, plains and forests with outstanding game viewing activities whether on foot, in game-viewing vehicles or on boat. 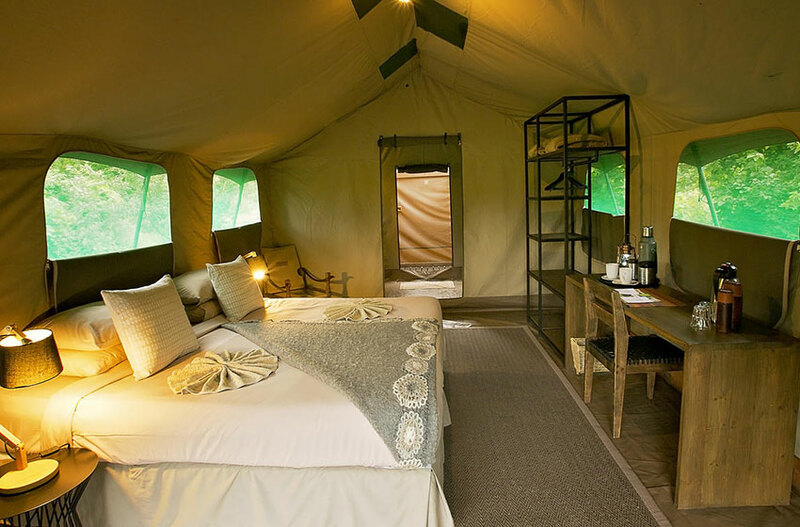 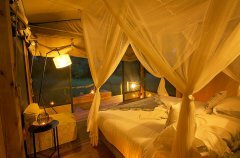 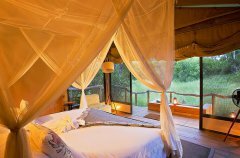 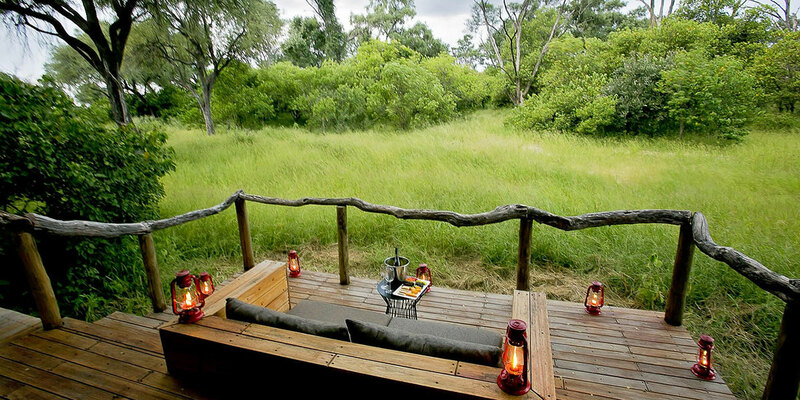 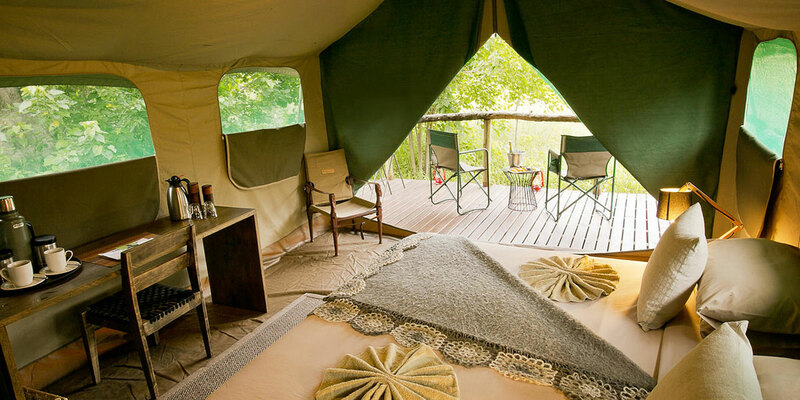 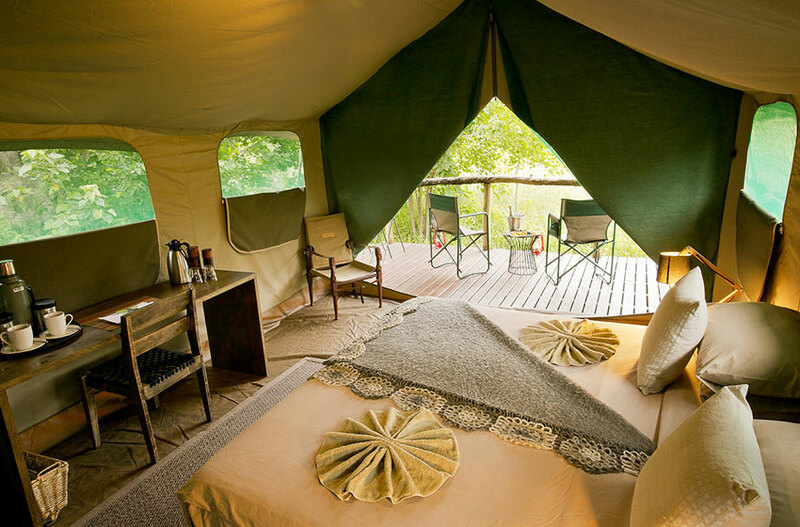 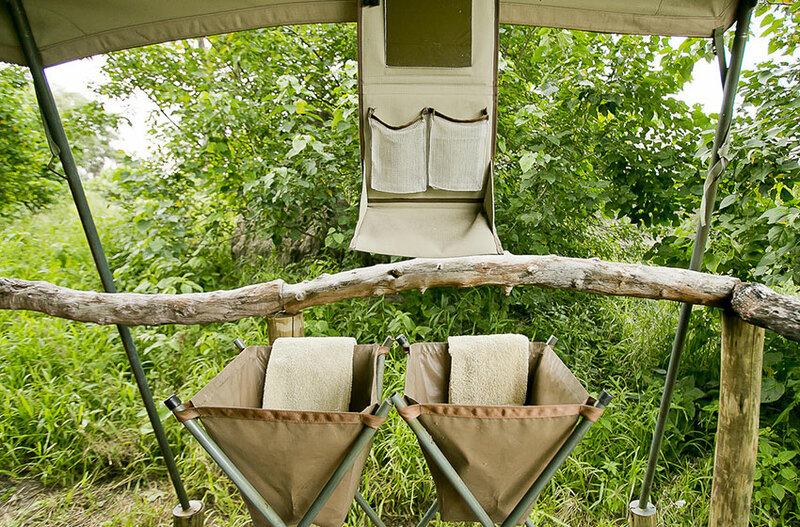 On special request both Khwai Leadwood and Khwai Tented Camp can be acquired together for larger families or private groups. 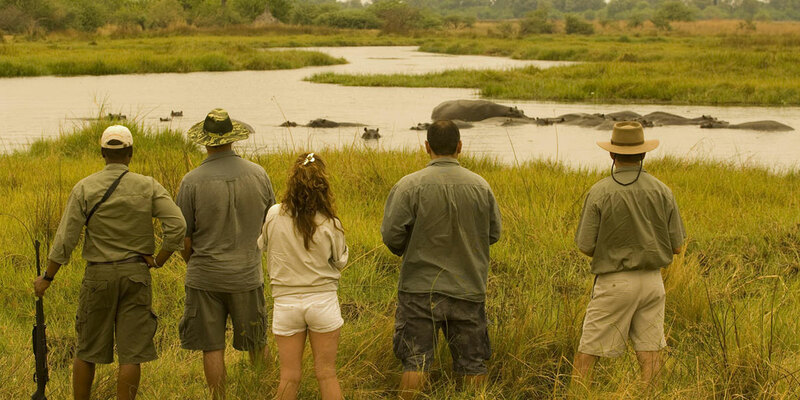 We think this is a fantastic family friendly safari option. 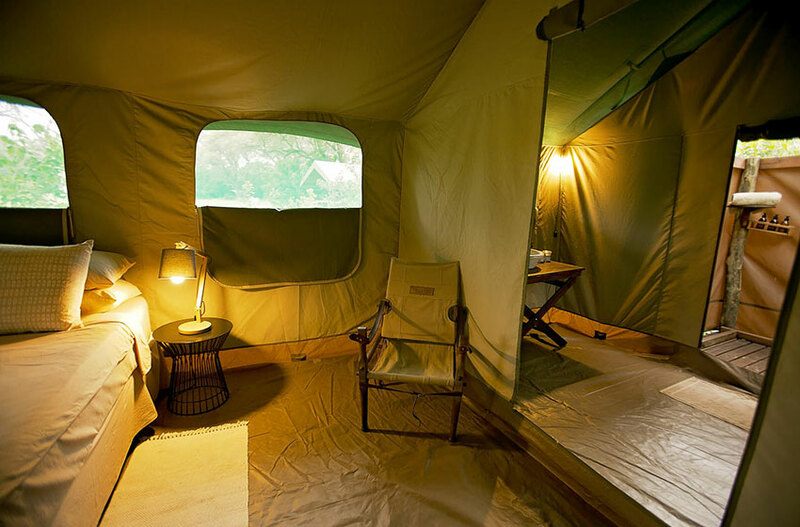 Kwai Leadwood have special children’s activities, such as bush walks with their child-specialist guide to ignite the spark in younger guests.